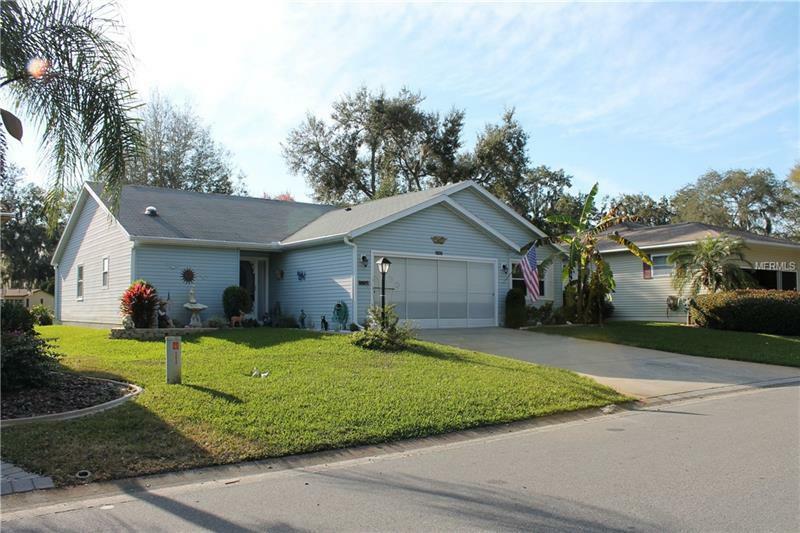 Beautiful large 3/2/2 with huge enclosed carpeted Florida room, located directly on the 4th hole of the gated Pennbrooke Fairways Golfing Community. This home features an eat in kitchen, separate dining room, large living room, split floor plan, vaulted ceilings, patio with automatic retractible awning, beautiful landscaping, water treatment system, screened garage, newer appliances, new windows in 2013 and a new A/C in 11/2016. Large master suite features a walk in closet, separate closet, his and her sinks, large walk in shower and separate bath tub with sliding door access to Florida room. Skylights in the kitchen and bathroom provide wonderful natural light. 2 Murphy Beds! The golf cart friendly community has two Recreation Centers! THE GRAND HALL â¢ Outside has heated swimming pool (temperature varies with season) with covered area, hot tub, showers, water volleyball and state of the art sound system. â¢ Inside offers a 4500 square foot dance floor, theatre and performing stage, stage lighting and professional sound system for name entertainment; a large cook-in kitchen with pass-through windows to pool deck and main hall; card rooms, storage and dressing room. solar heated swimming pool and spa, bocce court, two tennis courts, four pickleball courts, eight shuffleboard courts, nine horseshoe pits and a free-throw basketball court with hoop, and a fitness center, large cook-in kitchen, craft room, ceramics room with kiln, three billiard tables, three dart boards, large movie screen and dance floor.